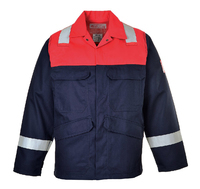 The Sioen 2123 offers Protection in temperatures up to -40˚ C. Abrasion resistant outer fabric. 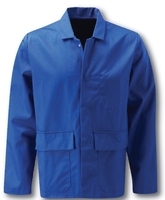 ISOSOFT® high grade extra protective thermal lining. 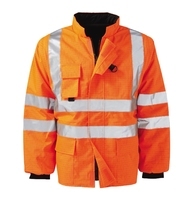 Extra protection and lining at elbows and shoulders. Drawstring at waist with knitted windcuffs. Adjustable fleece collar. 2 roomy pockets and breast pocket with pen holder. Zipper and touch and close fastening. EN342. 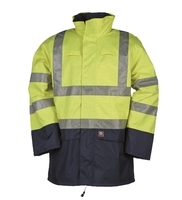 The Sioen 2122 offers protection in temperatures up to -40˚ C. Abrasion resistant outer fabric. 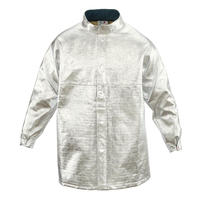 ISOSOFT® high grade extra protective thermal lining. 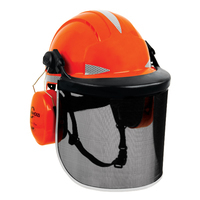 Extra protection and lining at elbows and shoulders. Drawstring at waist with knitted windcuffs. 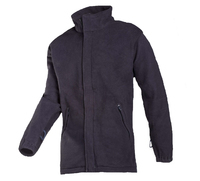 Adjustable fleece collar and detachable hood. 2 roomy pockets and breast pocket with pen holder. Zipper and touch and close fastening. EN342. 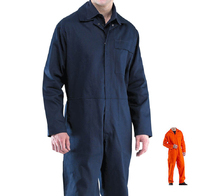 The Click Coldstar freezer Coverall has robust Oxford nylon outer fabric, 3M Thinsulate lining, Knee pad pouch pockets, 3 patch pockets, heavy duty zip & fly front, 2" Reflective body band, 2" Reflective leg bands. Conforms to EN342. 350g FR cotton drill fabric. Consealed stud fastener. 2 chest, 1 concealed phone pocket. EN11611 11612 OEC 61482-2. 350g FR cotton drill fabric. 2 hand, 1 ruler phone pocket. EN11611 11612 OEC 61482-2. 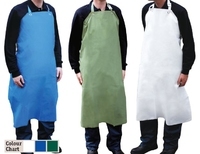 High quality stretchable food grade apron with a high fusion point which allows very high temperature washing. 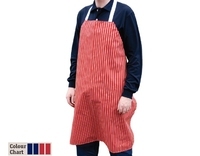 Proofed nylon oxford bib striped apron, lightweight and flexible, wrap around minimum tangle ties, water resistant. 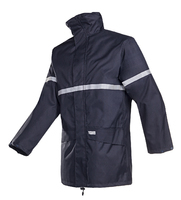 SIOEN 9461 Flame Retardant Anti Static Jacket Navy with Detachable Lining. 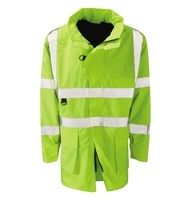 100 % waterproof/ windproof/ highly breathable/ water repellent outer fabric/ moisture attracting coating on the inside/ very comfortable/ supple/ high tear resistance. 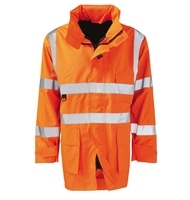 Taped seams, Straight collar, Foldaway hood in collar, Zip closure under flap with touch & close fastening, 2 Patched pockets, 1 Napoleon pocket, Round inset sleeves, Sleeve narrowing by press studs, Elastic drawstring in hem, Back length 85 cm (L). 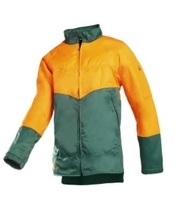 Detachable flame retardant fleece lining in body with 1 Inside pocket. EN343 3/3 EN531 ENISO14116 EN13034 EN1149. 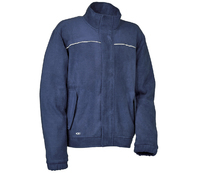 The COFRA Arinos FR AST Fleece Jacket Navy has 2 wide front pockets with zip, front opening with YKK® zip, recommendable in ATEX environments, embroidered pictograms on the left sleeve , elasticated cuffs. EN 1149-5:2008, EN ISO 11612:2008, EN ISO 13688:2013. 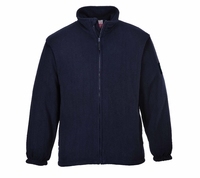 The Sioen 7690 Fleece comes with straight collar, Zip closure under flap with touch & close fastening, 2 inset pockets with zip closure, Round inset sleeves, Elasticated cuffs, Elastic drawstring in hem. EN ISO 11612 EN ISO 14116 EN 1149-5. 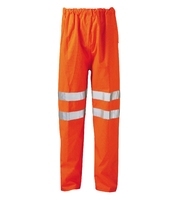 MASCOT Arosa FR AST Acid Resistant Trousers with durable triple stitched seams that extend the product life. 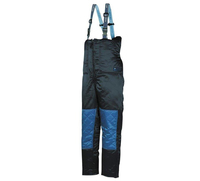 Ergonomically shaped trouser legs are constructed to follow the body's natural movements. Adjustable kneepad pockets with flap and top access, so dirt doesn't collect. Certified to EN ISO 11612 (A1, A2, B1, C1, E1, F1), EN ISO 11611 - class 1 (A1, A2), EN 1149-3, EN 1149-5, IEC 61482-2 class 1 (tested in accordance with EN 61482-1-2) and EN 13034. 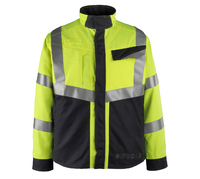 Bizflame FR55 Jacket features include triple stitched seams high visibility strips on shoulders and arms concealed front brass zip two front chest pockets with flap and stud closure. Adjustable sleeve opening. Velcro adjustment. Fabric: 350g. FR and anti-static treatment. EN ISO 11612 A1 + A2, B1, C1, F1. EN ISO 11611 CLASS 1 A1 + A2. EN1149-5. 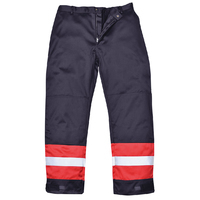 Trousers with part elasticated waist, brass zip, back, ruler, thigh pockets, knee pad pockets, Flame resistant reflective tape. EN ISO 11612 A1+A2, B1 C1, F1, EN ISO 11611 Class 2 A1+A2, EN 1149-5. 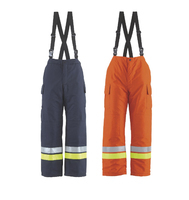 The Portwest FR26 Bizflame Plus Trouser features: Back-elasticated waist, Back pocket, Brass zip, Knee pad pockets, Retail bag, Rule pocket, Hook & loop-adjustable hem, Flame resistant industrial wash tape, 7 Pockets. EN ISO 11612 A1+A2 B1 C1 E2 F1, EN ISO 11611 Class 2 A1+A2, EN 1149 -5. 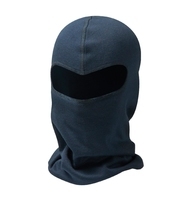 Retardant Anti Static Balaclava in FR AST Fabric 200gsm, EN531 EN1149. Anti-static, acid resistant and flame retardent PyroPro®. 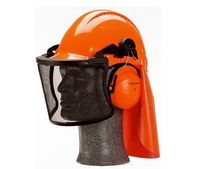 Protects from electric arcs and occasional welding arcs. Certified to EN 531/EN ISO 11612 (A, B1, C1, E1), EN 533/EN ISO 14116 (index 3/50×75°C), EN 1149-3 and EN1149-5, ENV 50354/EN 61482-1-2 (Class 1), EN 470-1/EN ISO 11611 and EN 13034. Anti-static, acid resistant and flame retardent PyroPro®. 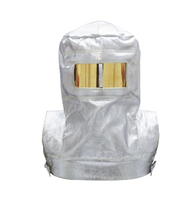 Protects from electric arcs and occasional welding arcs. Sewn with flame retardant thread. High collar with press studs. Triple stitched seams on sleeves, shoulders and at the sides. Fastening with hidden press studs. Chest pockets with flap and hidden press studs. Front pockets with hidden zip. Inner pocket with flap. Cuffs with press studs. Waist with press stud adjustment. Seams face downward so sparks can not get lodged in. Contrast stitching. Certified to EN 531/EN ISO 11612 (A, B1, C1, E1), EN 533/EN ISO 14116 (index 3/50×75°C), EN 1149-3 and EN 1149-5, ENV 50354/EN 61482-1-2 (Class 1), EN 470-1/EN ISO 11611 and EN 13034. Anti-static, acid resistant and flame retardent PyroPro®. 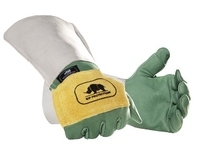 Protects from electric arcs and occasional welding arcs. Sewn with flame retardant thread. Triple stitched seams at leg and crotch. Belt loops. Fly with zip. Front pockets. Back pockets with flap and hidden press studs. Thigh pocket with flap and hidden press studs. Ruler pocket. Adjustable knee pad pockets with flap and top access. Seams face downward so sparks can not get lodged in. Contrast stitching. Certified to EN 531/EN ISO 11612 (A, B1, C1, E1), EN 533/EN ISO 14116 (index 3/50×75°C), EN 1149-3 and EN1149-5, ENV 50354/EN 61482-1-2 (Class 1), EN 470-1/EN ISO 11611 and EN 13034. 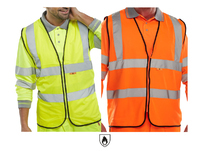 The AluPro range offers head-to-toe protection for the user against accidental contact with a flame, molten aluminium and metal splashes, convective heat and high radiant heat (C3 performance). 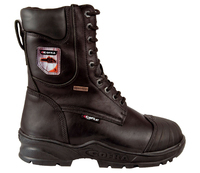 Worn in extreme heat conditions.Total top-of-the-foot coverage. Lateral fastening with wide Velcro® strips. 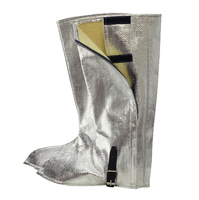 Leather support strap under the sole with adjustable buckle. Length: 45cm. Packed: by pair. One size. 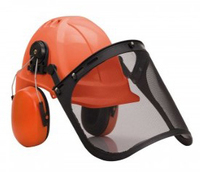 Lightweight and effective, all FirePro equipment ensures protection against hazards of contact with fire, convective heat, radiant heat and the risks associated with the accumulation of electrostatic charges. 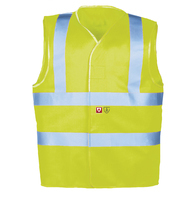 High Mao collar with large protective flap and Velcro® fastening. 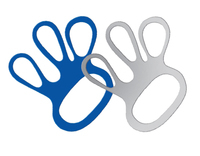 Semi-elasticated wrist adjustment and Velcro® fastening. Thumb loop for increased stability. 3 patch pockets: 1 microphone breast pocket with Velcro® fastening and 2 waist pockets with Velcro® fastening. 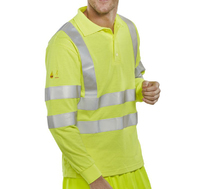 Yellow and grey reflective strips around the body and arms, and yellow at the waist. 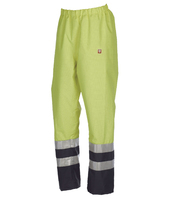 In Nomex® Comfort (93% Nomex®, 5% Kevla®, 2% antistatic fibre), 220 g/m2. PPE Cat 3, EN 469: 2005, EN 1149-5: 2008. 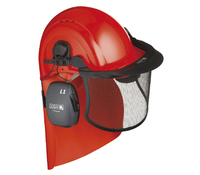 Lightweight and effective, all FirePro equipment ensures protection against hazards of contact with fire, convective heat, radiant heat and the risks associated with the accumulation of electrostatic charges. Zip fastening, covered by flap and press-stud. Semi-elasticated waist adjustment. Adjustable straps with plastic buckles. Reinforcement at the knee. 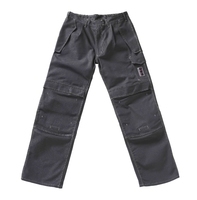 2 side patch pockets with Velcro® fastening. 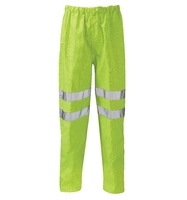 2 yellow and grey reflective strips under the knees. 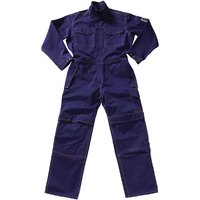 In Nomex® Comfort (93% Nomex®, 5% Kevla®, 2% antistatic fibre), 220 g/m2. PPE Cat 3, EN 469: 2005, EN 1149-5: 2008. 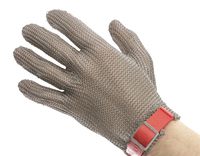 EUROFLEX 5 Finger Chainmail Glove - No Cuff. 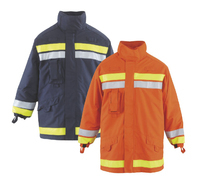 The Centaur Flame Retardant jacket with two lower pockets. Extra wide stud fastening flaps and concealed stud front. Inside breast pocket. 320g/m² fabric. EN470-1, EN531 A1,B1,C1. 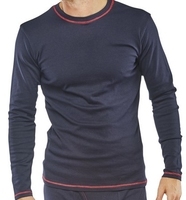 CLICK ARC FR Anti-Static Long Sleeved T Shirt; Flame Retardant, Anti-Static, ARC Long sleeved T- Shirt (under garment). 210gsm 60/40 Modacrylic/ cotton with anti static. Inherently flame retardant fabric. FR properties will not diminish with repeated laundering. Soft comfortable fabric with contrast FR sewing thread. Standard: EN ISO 13688: 2013 EN 1149-3: 2008 EN 1149-5: 2015 EN ISO 11612: 2015 (A1 B1 C1) EN ISO 14116: 2015 (3/5H/40) IEC 61482-2-2009 EN 61482-1-2-2007 (Class 1 = 4 kA) EN 61482 - 1 - 1 : 2009 (EBT50 = 5.9 cAL/cm2). 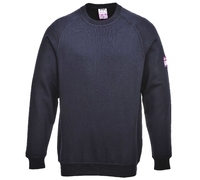 Each garment style is independantly tested to both box and open ARC standards. 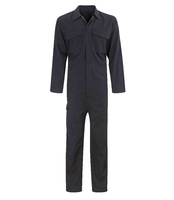 CLICK ARC FR Anti-Static Long Johns; Flame Retardant, Anti-Static, ARC Long Johns (under garment). 210gsm 60/40 Modacrylic/ cotton with anti static. Inherently flame retardant fabric. FR properties will not diminish with repeated laundering. Soft comfortable fabric with contrast FR sewing thread. Standard; EN ISO 13688: 2013 EN 1149-3: 2008, EN 1149-5: 2015, EN ISO 11612: 2015 (A1 B1 C1), EN ISO 14116: 2015 (3/5H/40), IEC 61482-2-2009, EN 61482-1-2-2007 (Class 1 = 4 kA), EN 61482 - 1 - 1 : 2009 (EBT50 = 5.9 cAL/cm2). 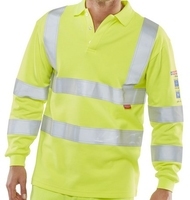 Each garment is independantly tested to both box and open ARC standards. 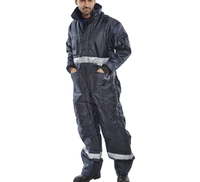 WENAAS Ambassador 350gsm Insulated FR Coverall. 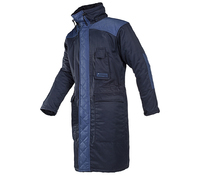 Wenaas Ambassador model, pyrovatex treated, Insulated (Winter quilted) FR coverall. 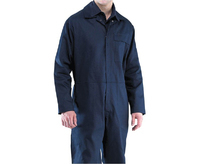 This overall has an Action back with full elastication at waist, two breast pockets with concealed zip closures, internal breast pocket, two open rear pockets, pen pocket on left sleeve, two swing pockets, allowing access to undergarments, rule pocket on upper right, leg press stud adjustment at wrists, two way concealed main front zip, extended to collar line with press stud fastening at neck. 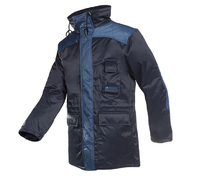 It also has flame retardant 270g quilted lining for added warmth and protection against cold environments. Conforms to: EN531 A.B1.C1. 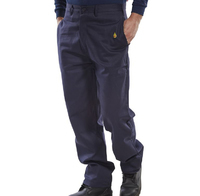 CLICK Flame Retardant Anti-Static polo with ribbed cuffs, 3 Button placket. Protex-M inherently fire retardant ASfabric. 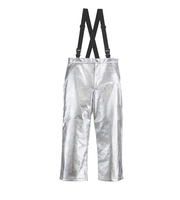 For industrial workers exposed to heat. EN471 2003 +A1 2007 Class 3. EN471 2003 Class 2 Retro reflective tape. ISO 11612 Flame retardant. A1 B1 C1. 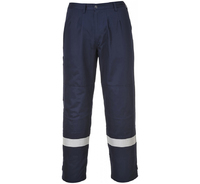 CLICK Trousers with 300 Gram cotton drill fabric with flame retardent treatment. Brass zip fly. Button waistband fastening. 7 Belt loops. 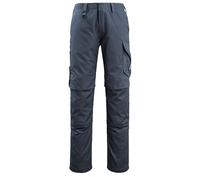 Two vertical side seam access pockets. Plain backand hips. FR logo embroidered to left hip. Conforms to: ISO11612 A1 B1 C1, ISO11611 CLASS 2 A1.